A month with The Blue Mushroom Sirkus Psyshow! 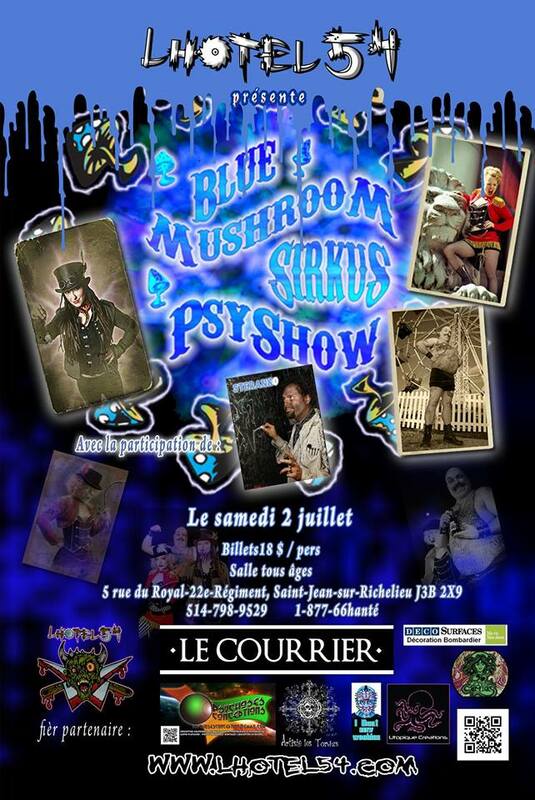 July 2nd- At L hotel 54, The Blue Mushroom Sirkus Psyshow are bringing their darkest show yet. It’s insanity with a twist. Fifi Fantôme, Aria Delanoche & Frenchie Jones. and Hotel 54’s very own mad scientist, mentalist, illusionist, Steranko aka Marc Trudel. 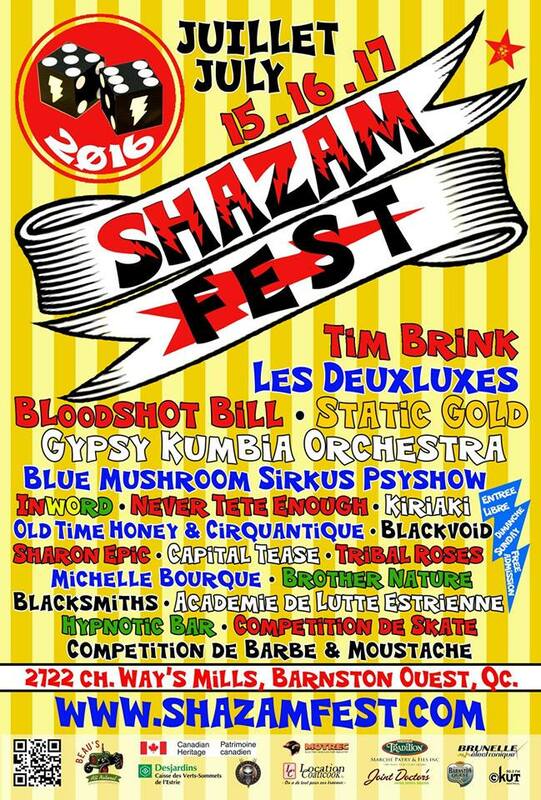 June 15th- SHAZAMFEST!!! BonBon’s favourite festival every year for the past 6years!! July 19th to August 14th- BonBon Bombay and her beloved troupe are off to Copenhagen, Denmark to start rehearsals for the world premiere of CIRKUS PSYSHOW- En Morderisk Vaudeville, a co-production between The Blue Mushroom Sirkus Psyshow and Amfiteatret for the Amfifestival 2016. Show dates August 2nd to 12th at Bellahøj Friluftsscene.